In actuality, API management isn’t about the ‘manage’ function i.e. is denotes software intelligence capable of creation, integration AND management as well. Going further, APIs also need to be discovered, published and secured… as the glue that bonds an increasing componentised software application development landscape together, there is some validation for needing API management control. TIBCO puts some colour on the internal mechanics of API integration too, so what elements are involved? Inside API integration operations we find touchpoints to microservices, so-termed ‘API choreography’, routing and API transformation functionality. 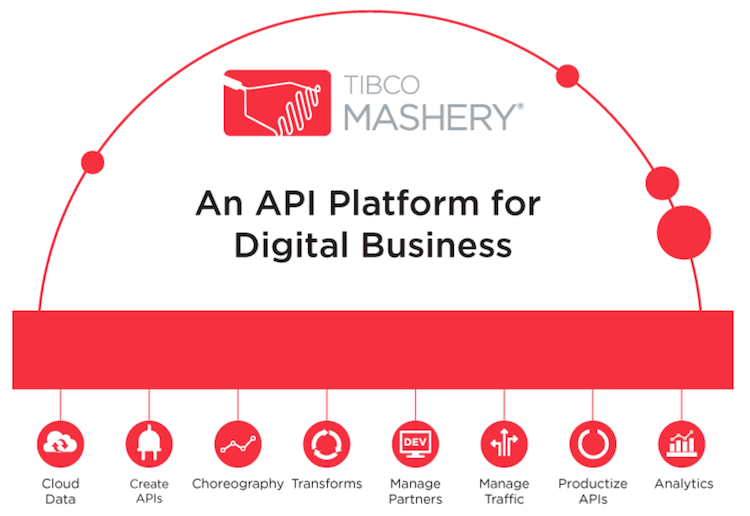 Mashery Enterprise users can build and test APIs, define run-time governance policies, migrate APIs between environments, and monitor and report on API usage.